The Explosive Toboggan Ride is a Limited Edition Hydro type weapon. This toboggan provides a unique ride where mice are sent sky high! The airborne journey is exciting, although the landing is a little rough. It could not be refunded. The Explosive Toboggan Ride (if unintentionally smashed) can be reassembled from Toboggan Ride Parts. The Explosive Toboggan Ride acquires a 20% Power Bonus when armed with Snowball Charms. Double Diamond Adventure - Requires the Toboggan Ride Parts to craft. Smashing this weapon with the Hunter's Hammer yields Toboggan Ride Parts. 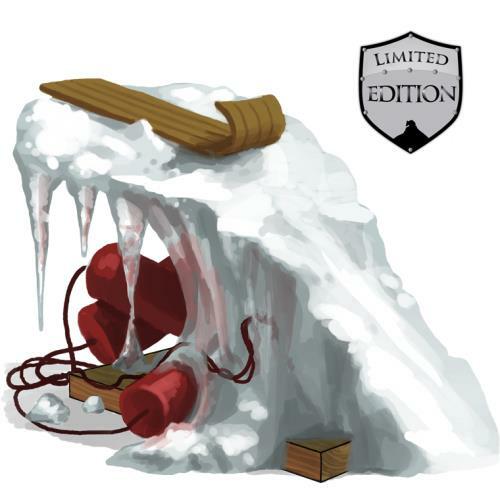 15 December 2010: The Explosive Toboggan Ride was introduced at the Festive Comet trapsmith, but could not yet be purchased. 23 December 2010: The Explosive Toboggan Ride was made available for purchase. 13 December 2016: The Explosive Toboggan Ride gained a 20% power bonus when armed with Snowball Charms.